No prom night is complete without the perfect limo. At Derby City Limousines we understand that you’re looking for the most affordable limousine for prom in Louisville KY, without sacrificing luxury and quality. Even if you’re on a limited budget or going all in with a group of friends, we make the process easy and affordable to get the limousine you really want at a great low rate. If you’re the parent of a teenager in the Louisville or the surrounding areas, we understand the fear that prom night brings. You want your kids to have a fun time, but can’t help but worry about alcohol, drugs, and highways full of careless drivers. The best ways to ensure a safe night while making your teenager happy is to hire a limo for their prom. Not only will the kids be safe in the hands of a professional, background-checked chauffeur, but they also will never forget the generosity and caring you put into making this night unforgettable. 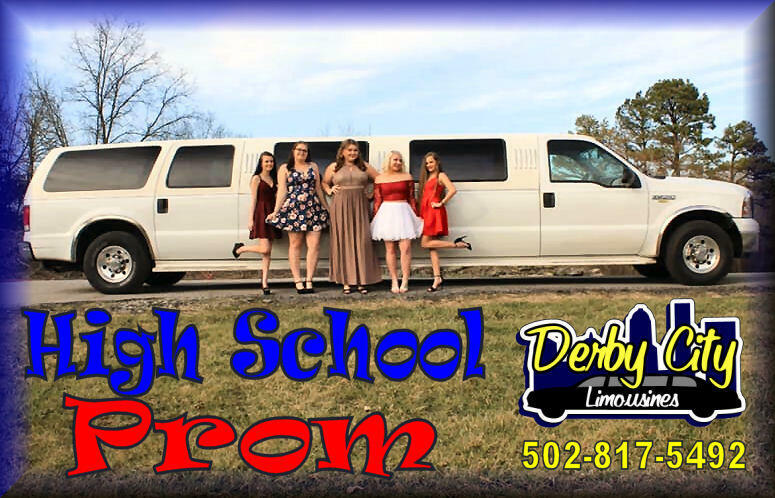 Derby City Limousines has some great discounts on prom limo packages, to make guaranteeing their safety and fun all the more affordable on you. Prom limousines always book well in advance, and the best way to get the lowest price is to reserve yours as early as possible. You can use our safe and secure online quick quote form, to get rates, or check availability. We have a number of different prom packages to fit your needs. We certainly don’t limit you to doing things our way.